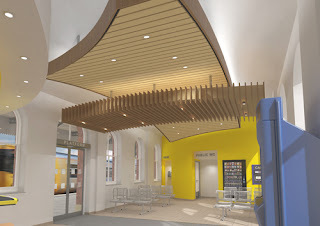 This is the new look Ormskirk station, as announced by Merseytravel, and frankly I'm in two minds. I am always, always pro-investment in the network; if they announced tomorrow that Bebington station would be replaced by robots with death rays I would be violently pro. But Ormskirk is where I studied, is where I lived for 3 years; Ormskirk is a place I am so affectionate towards, I have deliberately avoided visiting it in my MerseyTart antics because I want to make it a special occasion. My first Wednesday afternoon at Edge Hill College/University College/University, I was at this station requesting a ticket to "Moorfields", having acquired an A-Z and decided that was the best station in Liverpool to visit on my first week ever in the North. The new look is fabulous, both in keeping with what is there and progressive; but I see that CGI image and a little part of me harks back to trips into Liverpool with drunk student mates, to ventures into the city when I was a new student in the North, to acquiring and losing boyfriends for the first time ever, to weekly trips back to Ormskirk from the (eleven years and counting) bf's to experience Edge Hill student life again. I am sad to see it go. I must visit before it's lost. 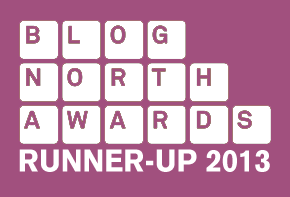 Before I lose the chance to buy a last minute pack of chewing gum from the kiosk, or to pass my ticket over to the jolly guys on the inspection gate. It's a part of me that is very, very important; pivotal, in fact. Say Ormskirk to me and you are saying my best friends. 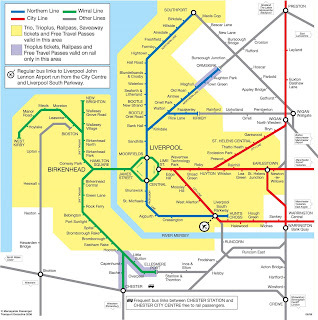 Something strange has happened to the Merseyrail map; they've started fiddling with it. The signs have been there for a while now. Not long ago, the route from Chester to Shotton acquired a strange angle; it used to be a perfectly straight line, but now it's a bit, well, wonky. It violated the nice clean, simple diagonals of the rest of the map and just looked - weird. Not long after this, symbols started appearing all over the maps in the station, indicating car parking spaces and bicycle stands. Clutter. Unneccesary and unnattractive, but I bit my tongue. The latest incarnation of the map though, is a step too far. At the extremities, nothing's changed; the key alteration is right in the centre, at the heart of the system. (Apologies for the quality; this is the map that's up in stations, so I had to take a picture). Let's start with the lesser of the two evils: Sandhills. As I've indicated in previous posts, Sandhills is closed for a while so it can be rebuilt. Naturally, this needs to be indicated on the network map. But Merseyrail have chosen to do it with a big red box. Maybe it's me, but this makes me notice the station even more than before. On the Underground, they put a cross through the station, and even without the key, you know what that means. 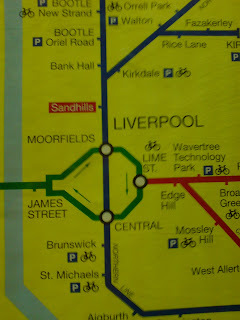 Here though, it makes Sandhills look like a large, important station - more important than Lime Street, even, which is squeezed in between the bike symbol, the loop and Wavertree Technology Park. Badly thought through. The biggest crime though is the loop which is no longer a loop. Instead it's a sort of strange geometric shape with right angles. This violates one of the key rules of metro map design, one that goes right back to Harry Beck's Underground diagram - right angles do not flow. You should be able to follow the route of your line with a finger, and it should naturally merge into new parts of the line. The old map did this perfectly adequately. If you follow the route under the river, your finger just sort of naturally carries on up towards Moorfields, just like the trains do. The new map presents you with a quandry; after James Street, you hit a t-junction, with apparently an equal chance of going either way. Worse still, because there's no longer that "pinch point", where the two lines separate, it looks like it is possible to take a train from Central to Moorfields and miss out James Street altogether. On the old diagram, the angles seemed to indicate (correctly) that after Central, you had to go to James Street. On the new one, yes, it'll be a bit of a bumpy ride round those sharp corners, but otherwise you can carry aparently go on riding round the city centre until your little heart bursts with joy. I can't wait to see the look on the faces of the Japanese tourists over here for City of Culture who end up in Rock Ferry instead of Lime Street. Not only is it imperfect from a route perspective, it's also ugly. It's clunky and square and just doesn't work. It's not a loop any more. I hope that there is some eminently logical reason for this at Merseyrail HQ. I hope that it's like the recent incarnations of the Underground maps, where they suddenly acquired huge gaps on the lines for no apparent reason, only for everything to become clear when the Overground network suddenly appeared (not that the new Underground map is perfect; in fact, it's one of the worst incarnations for years. Please, get rid of the misleading "disabled" symbols at stations, get rid of those bright orange Overground lines, and restore it to its former glory). I don't think there is a reason though. I think it's just someone dicking about with graphics software, altering things just for the sake of change. If you want to have a positive effect on the map, Mr I've-Got-A-Mac-And-I-Think-I-Know-How-To-Use-It, how about sorting out the "Trioplus" shading? Or the mess around Wigan? Or be radical, and throw it out, and start all over again for a 21st Century design. Don't just fiddle in places you shouldn't. You'll go blind. And in all that rant, I managed to completely forget to mention that the bicycle symbol for Bootle New Strand actually goes into the river. Unbelievable.